Ballad of Solar is rated 4.2 out of 5 by 51. 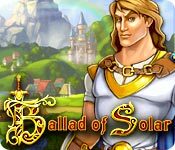 Rated 5 out of 5 by loudjo from Ballad of Solar This was an awesome time management game. I loved it! Rated 5 out of 5 by Bumbles2 from An adventure worth playing !!! 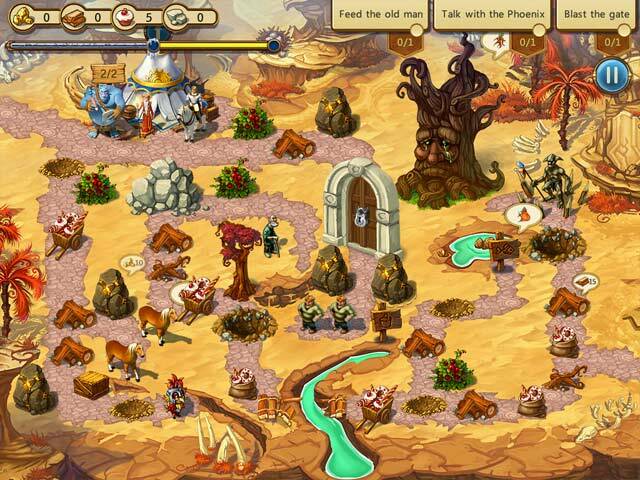 This is an epic adventure...loads of fun to play and a very enjoyable story !!! In this adventure Solar travels through different zones with some companions in tow...in each zone you have some tasks to perform before going to the next one. Doing these tasks you have to build things...collect resources and other things you will need to continue your journey !!! Oh my goodness....what a wonderful game to play...I really liked everything about this game. The music was pleasant and the graphics are really nice. There are a few challenges but easily done !!! For those of you who are hesitant on giving this game a try...trust me I think you'll love it !!! Have fun all !!! Rated 5 out of 5 by tutortime from Loved this game. A great game, to play and relax with. I liked that you could also play without the timer. Fun, Fun, Fun. Rated 5 out of 5 by agurney76 from Lots o' fun Really fun game. Just finished it and going to start it right back up again. It is a little different that the usual viking thing. Very colorful too. I like how there are two parts to the scenes. Rated 5 out of 5 by An0therW0rld from Great little gem of a TM A very enjoyable game which I have completed. The graphics are very well done and the sound effects / music were very good, which is not the norm for TM games. This game held my interest from start to finish and was certainly immersive - I could have played for longer, had it been a longer game :-). A great play. Rated 5 out of 5 by Detro from Seamless storyline, brilliant!! I loved how it blended together without breaks, this is the first of it's kind i have played. Beautiful graphics and music, i really enjoyed playing. I played in relaxed mode, so wasn't too challenging. But there are harder modes if you choose. Please make a number two!!! Rated 5 out of 5 by IvanRic from Almost perfect! This is probably the best "complete package" time management game. Music & sound are great, story is corny, which I'm sure was on purpose as it adds the comedy factor. Gameplay is great for a TM game. Visuals and animations are top notch compared to other TM games. Highly recommendable!!!! Rated 5 out of 5 by hraili from NICE! 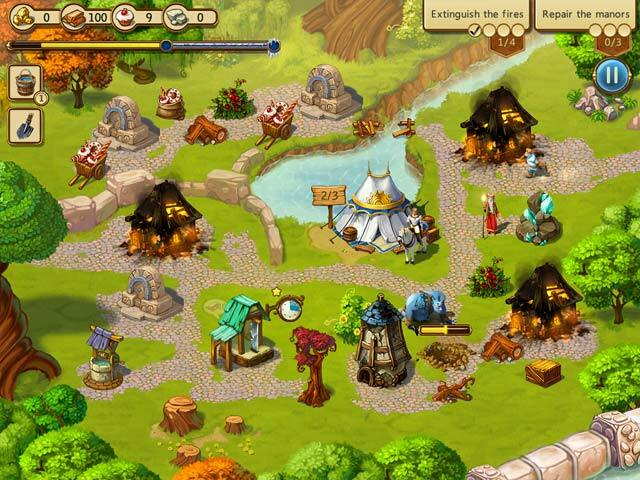 I have played a lot of TM games like Roads of Rome, Kingdom Chronicles, Royal Envoy, Sweet Kingdom and so on. In the end I got a bit tired of them so I bought this game. And now I’m hooked - again! This is fun and a little different from my other TM games. For me the storyline is irrelevant, I usually don’t pay much attention to it, the same goes with the music, which usually disturbs my concentration to the game itself so i always turn it off. Other sound effects I liked though. Overall I enjoyed playing it and now I will start all over again! Rated 5 out of 5 by Yellowjeepgirl from I can't play this game enough! I don't usually play timed games but I downloaded the free trial and enjoyed it so much I bought it immediately! Since then I have played it repeatedly! I recommend this as a fun, challenging time, and I'm waiting for hopefully Ballad of Solar II!!! Rated 5 out of 5 by AdrianaIP from Good thinking game. You know those adventure games where you have to backtrack a lot, and get things that you do not know what to do, and cannot find the things you need? Well, this is a bird's eye view. You can see what you need, and what obstacles are in the way. You have to get your resources, yes, and clear obstacles, try to get people to cooperate, and come up with a strategy. It is timed, but if you miss the deadline, all it means is that you do not get a star. The characters and dialogue are fun, and the idea is, with a flavor of that episode of MASH where everyone was trading favors. You need dynamite to blow up something. Someone will give you dynamite if you give him fish. 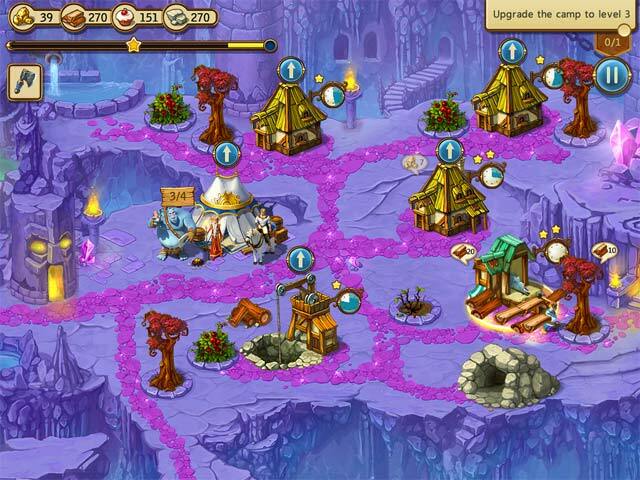 You need to clear up the way to the fishing hole, and you may need gold for it, so you have to mine gold first. Then you need a fishing pole, but there is someone in front of it who wants you to bring something else before he lets you through... And that something else, you have to fill a hole, and you need a shovel, and... In an adventure game all that backtracking would drive you insane. But here? Here you can see how it all works out, and you have to decide what to do next (hint, upgrade the mill so you have plenty of food, and it may pay to upgrade the sawmill and the quarry so you have plenty of material) The best part:"? After you are done, you can replay sections of it and enjoy solving them. Plenty of replay in it. And the characters are cartoonish and fun. Doesn't take itself seriously and that is good, since it is a game.